Solar thermal energy source in the tropical zone have an availability more than the others zones in the world. 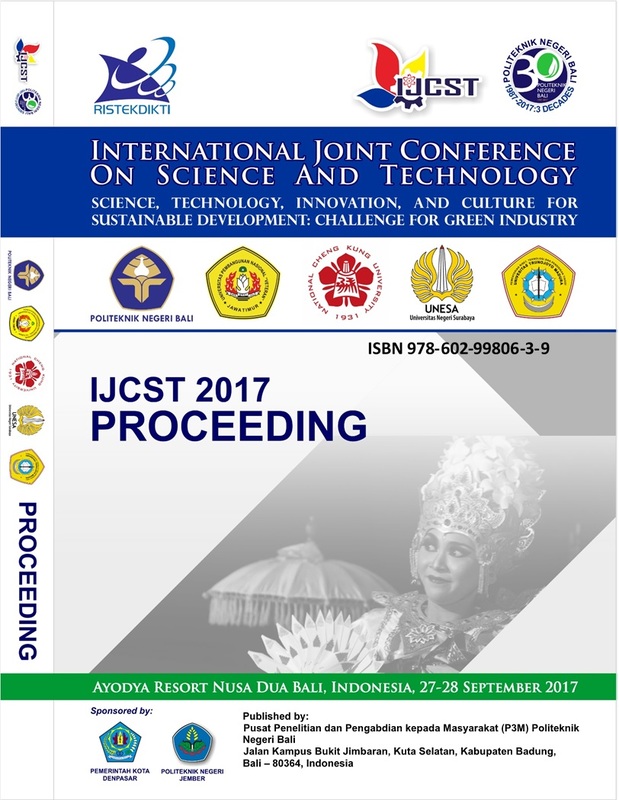 Utilization of this source energy in indonesia is lower than another sources of energy even though domestic or indutrial processes. Indonesia have large maritime region and many archipelago, so desalination become main issues in remote and seaboard area. Dewvaporation system is one of methods for desalination process of sea water. This method use energy thermal and carrier gas for separation salts component in sea water. Evaporation chamber of dewvaporation system need thermal energy source for gain temperature of carrier gas. In this project, vacuum tube solar collector technology has been investigated for integration on dewvaporation system. Thermal energy that is collected from solar radiation and it is utilized to gained energy in evaporation chamber of dewvaporation system. Active direct water flow system of the solar collector been measured their capability for collected of solar thermal energy. After 5 days of testing, rate of water temperature output is 56oC and rate of thermal energy outputs is 456 watts/m2 .Water flows in the tube of solar collector is 1,4 bar. This project results meets requirements for integration solar collector in the dewvaporation system. AGUSTRIPUTRA, IDG; BANGSE, K. Investigation of solar collector for developping dewvaporation system in Bali. Proceedings, [S.l. ], v. 1, n. 1, p. 224-227, may 2018. Available at: <http://ojs.pnb.ac.id/index.php/Proceedings/article/view/870>. Date accessed: 25 apr. 2019.